Lutz, Bobo & Telfair, P.A. represents local, national and international public and private corporations and financial institutions doing business in Florida. The firm also represents individuals in medical malpractice, product liability and serious personal injury claims. Lutz, Bobo & Telfair, P.A. was established in 1992 and is a Martindale-Hubbell "AV" rated law firm with over 250 years of combined legal experience. We have the latest technology, comprehensive research resources, and convenient, comfortable and efficient offices. Our mission is to provide our clients with valuable legal services in a professional and efficient manner. Our team is comprised of smart, committed legal professionals who enjoy the challenge of complex and sophisticated law. We regularly represent some of the largest corporations in the country as well as individuals and families from all walks of life. We provide the same level of service to all of our clients, regardless of their situation. Our lawyers routinely handle matters that involve complex commercial litigation, wrongful death, serious injuries, product liability, manufactured housing and mobile home law, business law transactions and administrative law. The hiring of a lawyer is an important decision that should not be based solely upon advertisements. Before you decide to hire a lawyer, ask us to send you no cost written information about our qualifications and experience, with no obligation to you. If a legal matter arises, please feel free to contact us. We may be able to help. Also doing business as Lutz, Bobo Telfair, Dunham & Gabel and Lutz, Bobo, Telfair, Eastman & Lee. The field of personal injury law gives those who have been injured by the actions of others the chance to obtain compensation for their suffering. Roger Lutz has been a Florida trial lawyer for over 30 years. He has personally handled thousands of cases and has served as lead counsel in over 300 trials. Mr. Lutz has represented a wide variety of clients that include individuals, families, international corporations, and small companies from all over Florida and the United States. His jury trials have included serious injury and wrongful death cases, involving motor vehicles, motorcycles, cardiac pacemakers, neural stimulators, medicines, nail guns, gas tanks, lawn mowers, go-carts, golf carts, medical malpractice and a wide variety of complex contract and business matters involving millions of dollars. Within the last few years, he has achieved substantial money verdicts and settlements in medical malpractice, motor vehicle accident, auto airbag, artificial hip and premises liability cases. 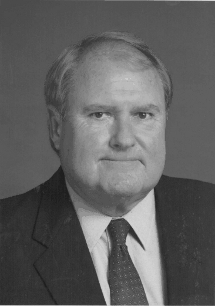 Mr. Lutz was a two term member of the Florida Board of Medicine (the board that licenses and disciplines Florida doctors), a one term member of the National Federation of State Medical Boards (the board that is involved in the national exam for physician licensure), and a four term member of the City Commission of his home town. He is currently serving in his second term as a member of the Judicial Nominating Commission for the Twelfth Judicial Circuit of Florida (the commission that nominates individuals, for the Florida Governor to select from, for Judicial Appointment.